Ashley J George | AD-ventures of a Creative: My SXSW Plan - Let's see if I can pull it off. 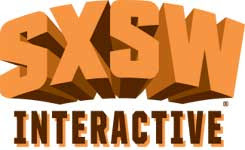 So as you probably know I am going to SXSW Interactive. Pretty excited there are a lot of great sessions lined up, though now I have to go through and figure out which ones I want to attend. Which ones are you going to? Charged up for SXSW? Reserve your spot to drive the all-electric Chevy Volt at the Catch A Chevy stop on Trinity and 3rd from 9 a.m. – 3 p.m. every day during SXSW. Being a young entrepreneur in this period of time in business and commerce is an exciting thing. It is your biggest asset. You should rock it. But how do you rock it? How do you overcome traditional preconceived notions of being "younger", more "inexperienced", and "naive"? Simple. You turn them into your strengths. Everyone always talks about how being curious, how retaining youthful characteristics is a great way to succeed without bounds. Why can't those who truly embody those characteristics be the ones that indeed reap those rewards? Most younger entrepreneurs are at the edge of a cliff. They are looking for reasons to jump, or not to jump. There are lots of people willing to tell them all the reasons of why they shouldn't. Very few are there to tell them all the reasons why they should, and to help them throughout to show them how to grow wings in the process. I'm there to nudge them. Being a 19-year-old entrepreneur with a funded start up - experience at a well-known company in the social news landscape, and literally being thrown into a pit of extremely successful entrepreneurs as a non-American (a Canadian), helped prime me to learn all of the lessons that I will be sharing with everyone. Anyone fascinated by the elusive "young" entrepreneur - and especially the type that genuinely takes tangible action towards successful milestones in their career - and wondering about how to learn from them and to help nurture their growth - should come. Would you like a helping hand that is affordable, accommodating, and productive? With the explosion of Web and mobile applications, now more than ever, companies could benefit from a helping hand. With so much to do, and so little time, Amanda and Caroline share how to knockout that online marketing to-do list with an internship program, where they address how to assess the workload, create a mutually beneficial program and recruit Rockstar interns. Amanda and Caroline will share strategies and tactics on: (1) Finding ideal tasks for interns (2) Developing the internship program structure (3) Setting expectations on free versus paid. This presentation intends to show you how to create a win-win situation for both your company and your interns. The Apps for Healthy Kids competition pooled $60k in prizes in support of the First Lady's Let's Move initiative to reduce obesity and raise awareness for healthy lifestyles. USDA led the effort providing the MyPyramid dataset and focusing the app and game competition on "tweens" for learn through play, and nutritional gatekeepers to arm them with critical information to make healthy food choices. We started from scratch and found tremendous support in the Office of Science and Technology Policy as well as the game/app developer community. The challenge platform welcomed entries and we invited the public to vote. An esteemed judging panel including Aneesh Chopra and Steve Wozniak will select winners. By the time SXSW begins, the winning games and apps will be making a positive impact on children and adults to make health food and lifestyle choices. Other federal examples will provide alternative approaches to using competitions to achieve specific goals. Government is becoming more adept in utilizing games, tools and Internet technologies to reach citizens on relevant platforms and devices. Learn from our mistakes and successes, and take away useful tips for designing your own challenge or competition. This session is about how the history of Print Design is becoming an important influence in the evolution of Interaction Design. As a craft, design for printed media has a rich history. Several generations of designers have pushed its boundaries in countless directions. It has been shaped over several hundred years as both a functional and aesthetic discipline, with a deep foundation of principles, practices, theories, and professional dialogue. In comparison, Interaction and UI Design is still a relatively young field. Its history has largely been driven by technology and functional goals. The dialogue around it has been centered on usability, which has been its purpose in the context of technological advancement. The visual language of UI has evolved from that standpoint: that it should evoke the familiar, analog experience of tools, buttons, knobs, and dials. That foundation has led to a very specific visual language in interactive experiences. In the past ten years however, the relevant technologies that support the design of Interfaces - displays, processing speeds, and rendering engines - have matured to a point that they provide a more capable canvas for design. Meanwhile, our culture has become visibly more comfortable with the technologies that surround it. These combination of trends are creating an important inflection point for designers. The aesthetic experience of the digital surface can now be considered and explored in a more sophisticated manner. While faculty and staff at higher education institutions have experimented with the use of social media, there has not been a concerted effort to integrate these technologies in educationally-relevant ways. Emerging research in the field of social media, student engagement, and success shows that there are specific ways that these technologies can be used to improve educational outcomes. This presentation will focus on reviewing and translating research on the effects of Twitter on college students into effective and engaging educational practices. Background research on the psychological construct of engagement will be provided and will be linked to engagement in online social spaces. In addition to presenting cutting-edge research on how to create engaging and engaged communities, the presenter will review specific ways that Twitter can be used in the classroom and the co-curriculum. The presenter will discuss how academicians can hack existing technologies, specifically Twitter, for educational good and will present the results of his latest research on the effects of Twitter on student engagement and grades. Public participation—the process of engaging citizens and stakeholders in collaborative problem solving and decision making—has been around for a few decades. Whether urban planning, participatory budgeting or environmental conflict resolution, the basic principles of designing and running effective consultations to gather citizen input or co-create policy solutions are, for the most part, well understood. The use of technology to support and enhance these participatory efforts, on the other hand, is still a fairly young and emerging discipline. While there have been many advancements in this area in recent years, the lessons learned still aren’t always readily available for practitioners. This fast-paced and interactive panel will explore what it takes to deliver successful online consultations. We’ll go over the basic processes involved, look at some of the typical challenges and how they can be addressed, and highlight innovative tools and projects from around the world. Technology, if applied properly, can greatly increase the opportunity for citizens to participate in the decisions that shape their future. With this session, we want to give anyone involved in delivering on this promise a solid head start. Where do good ideas come from? Diversity. There is a growing body of evidence showing that cognitive diversity can play a powerful role in increasing the ideation and innovation capacity of a group or community. This session unpacks cognitive diversity, shows how it can drive better outcomes and examines some things that can get in the way. As General Patton said; “If everyone is thinking the same thing, then someone isn’t thinking at all.” If a group of people are considering something that matters, there will be some disagreement. Pursuing better solutions requires that we are willing and able to create social spaces where we can surface and recombinate those differences. We often avoid those differences because there is tension there. If you want the benefit that diversity brings, you have to be able to contain the tension that comes with it and that is where a lot of individuals and groups fall short. They avoid or deny differences because it is easier and safer. Even if we have an intuitive appreciation for the fact that different perspectives can be valuable, human nature can still get in the way. Things like stereotypes, assumptions, implicit association, attribution errors, and cognitive biases can have a profound impact on our considerations of others, regardless of our intentions. We can however, reduce the impact of our drive to judge and categorize so that it does not prevent us from creating robust intersections of differing perspectives. Fear holds many people back in business. There is fear of not having enough to offer, fear of not knowing what to say, fear of rejection. This session is about how the game is changing and how to build quality relationships out of nothing while not being afraid. Business is about relationships and using technology to foster those relationships by growing social spheres of influence and creating a network of contacts of friends, acquaintances, and business partners. Also to be covered will be the advanced tips and tricks for making a cold connection a warm one, how to make a great impression, follow-up like a rock-star and how to complete deals that are not typical deals. Social media sites such as Twitter, LinkedIn and Facebook have changed the way business is done. When should you add someone on Twitter versus LinkedIn versus Facebook? How do you avoid being ignored? What about instant messenger? Is the IM agreement the new term sheet? All these questions will be explored in the session that covers the best methods for being successful in business even if your main function in your organization is not business. A search on Amazon shows 62,000+ books on leadership but almost nothing to help creative team leaders build and sustain a creative environment. Creativity and innovation can be delicate and emotionally fraught processes. Leadership theories are helpful, but what do you do when your star designer suddenly starts mailing it in? Or a project team is frozen in infighting? Or one of your designers just can't find their footing in a new project? When you got your big promotion for being an amazing designer, no one told you that you needed an entirely new skill set. Sink or swim, baby. For this session, Sarah B. Nelson gets practical on the topic of creative leadership. From vision development to team alignment, from bottom-up empowerment to top-down intervention, Sarah will inspire you with practical ideas to motivate your team and rouse them to greatness. She will draw on her extensive experience leading creative teams at Adaptive Path and Hot Studio -- and inform the discussion with research and interviews from organizational psychologists, experienced managers, and successful creative leaders. The agency model of billable hours, budget overruns and hierarchical team structures was built in the early 20th century. Although things have changed significantly thanks to technology, labor equity and innovation in other industries, this outdated model continues its vampire-like sucking of vendors dry. Examining the traditional model, we’ll identify reasons why agency-contracted work is potentially perilous for your business. Instead of being results-oriented, agencies charge hourly rates regardless of (un)successful outcomes. Agency staff, constrained by the pressure to bill hourly are stifled creatively and prevented from serving clients as best they can. Should these time sheet zombies continue representing brands to the public? Thankfully, many workable solutions exist: bring creative personnel in house, pay for quantifiable results, empower yourself to learn new necessary skills, insist on agency and vendor accountability, and more. As the sun sets on the agency world, and the ball is in the court of business owners. Are you ready to adapt to the 21st century and make a jump to a new way of doing business? Some of the most important design decisions happen in code. In 2009, I gave a talk at the Build conference in Belfast with what I thought was a fairly uncontroversial premise: web designers should write code. Since then, the subject has sparked more than a few debates, including a particular heated pile-on when Elliot Jay Stocks tweeted that he was "shocked that in 2010 I’m still coming across ‘web designers’ who can’t code their own designs. No excuse." In a recent interview, Jonathan Ive said "It's very hard to learn about materials academically, by reading about them or watching videos about them; the only way you truly understand a material is by making things with it." He's talking about product design, but the principle is just as relevant to the Web (if not more so). "The best design explicitly acknowledges that you cannot disconnect the form from the material--the material informs the form.... Because when an object's materials, the materials' processes and the form are all perfectly aligned.... People recognize that object as authentic and real in a very particular way." As our industry grows and roles get more specialized, it's possible to become a "web designer" without more than a cursory understanding of the fundamental building materials of the Web: the code. Is this just the price of progress? Are the days of the web craftsman soon to be in the past? Or is a hybrid approach to web design and development something worth preserve? Why have smart refrigerators failed to take hold? Where are the smart tables that were supposed to fill our homes? Smart products with embedded sensors are poised to share their intelligence, but lack of connections among products and services have limited their usefulness. Until now. In this session, we will showcase emerging smart products and break down the design and technology that will separate the wheat from the shaft. We’ll examine the connections these products will make with our lives by bringing more sensibility to sensor-based products. In this fun and extremely fast-paced session, you'll learn how to manage an online community backwards. You'll become an expert in the quickest ways to kill your online community, using tips you can take and use today to kill yours as soon as possible! You can even take these skills and work with clients who want to hire you to kill their community, too. Of course, if you want to attend the session to learn from those bad methods and do the opposite, in order to build a successful and well-run online community, you can. But, I'm not sure why you'd want to do that. MapQuest plans to host their 2nd annual Road Trip to the Salt Lick at the Salt Lick Barbecue Restaurant. This year's event will be even bigger than last year's, still offering free all-you-can-eat BBQ and drinks. We'll be bussing over 250 people to the event – all you need is a SXSW Interactive, Gold, or Platinum badge, and an ID to prove you’re 21 or older. Remember, you must be on the bus in order to participate. The bus will load at 5:30pm, and it's first come first serve, so get there early! The bus load meeting place will be determined soon. Check back for more details! The launch of the iPad signaled the start of a new era for magazine publishing. A single device that delivered the fidelity of print and the interactivity of the Web, all wrapped up in a fun and easy-to-use form factor gave the industry new reason to hope. There was one trick: no one had designed for this brave new medium yet. Editorial teams suddenly needed to consider multi-touch gestures, multiple orientations, dynamic layout and the integration of rich media into the design of their issues. Ink-smudged print teams had to reach out to the pixel-based life forms in charge of the company Websites, and engage a new breed of Cocoa developers as well. Whole new models of information design and user experience we're launched at high velocity into the App Store. Both speakers were involved in designing some of the first digital magazines that launched on the iPad on April 3rd, 2010. They've spent the last year exploring new ways to experience and engage with magazine content on this exciting new platform. Together they've worked on iPad editions of magazines such as Spin, Dwell, National Geographic, Car and Driver and many others. In this session they'll share hard-earned knowledge and useful insights on how to design for gestural interfaces, how to integrate interactivity smoothly into digital magazines and what it takes to build an issue for the iPad. Make the coffee, check the RSS, groom the avatar, freshen the blog, make nice with the Twitter, now it's time to ... do the same thing again. Meanwhile your job/project/spouse/story sits there, staring at you with big cow eyes and wonders if you will ever leave the grid and do something real, something productive, something that will yield cash money and not just more followers on Twitter. Most of us work alone in a room, armed with a desktop that is more powerful -- and distracting -- than entire offices a decade ago, and yet the actual throughput of an average day can be negligible. Let's talk to some people who have actually done things -- written books, built businesses, created technology -- about their process. Do they have a clear, bright line between consuming media and producing it? Is it best to have multiple streams on one screen or toggle between to stay on task? Do they have a day part when they are off the grid? And why do great ideas come in the shower? Let's figure out whether the Web is the greatest productivity tool ever invented or a destroyer of initiative and long thoughts. “No one I know has a full-time job anymore. They’ve got Gigs.” - Tina Brown, The Gig Economy (http://www.thedailybeast.com/blogs-and-stories/2009-01-12/the-gig-economy/full/) Depending on when you last watched Office Space, Lumbergh might be your idea of the quintessential boss from hell or evoke nostalgia for “when people had bosses.” Welcome to the jobless, boss-less Gig Economy. Where independent workers now make up 30% of the American workforce - freelancers, contractors, part-timers, self-employed, dabblers in a little bit of this and a little bit of that. Where 75% of small businesses in the US are sole proprietorships – that’s 20 million businesses with no Lumbergh and no employees. And where 75% of 2010’s college grads don’t have a job waiting for them on the other side of their Commencement Address. Maybe we’re better off working for ourselves. In his latest book, Drive: The Surprising Truth About What Motivates Us, Daniel Pink argues that “extrinsic motivators” like bosses and bonuses are less effective than things that motivate us from the inside out: autonomy, mastery and purpose. So what makes us tick when we don’t have a boss, an office, a time to show up at work, or even a paycheck? Through the lenses of autonomy, mastery and purpose, we’ll talk with a panel of the nation’s leading thinkers on the freelance lifestyle and work productivity and argue whether we’re looking at a crippling, jobless future or the emergence of a better way to work. New opportunities for sophisticated in-store and digital interactive experiences are fundamentally changing the way retail stores connect with their customers. These changes – from interactive kiosks, sophisticated mobile devices, digital & interactive vending machines, and the wireless delivery of software - are creating opportunities for brands and marketers to connect and interact with their customers more richly. We will share how are clients are leveraging these tools, and our vision of where it is all going. 4:15 PM - What Overseas Innovations Still Haven't Hit the US Market Yet? Don’t you think the internet should be accessible to all, including people that are visually impaired? The visually impaired are people that need aide to see, either with glasses or contact lenses or they can’t see anything at all. Society is living longer, thus making older web users more impactful in market segments. The visually impaired demographic is exploding and will require technology to bridge a visual communicative gap. Imagine how marketing, advertising and the general quality of life for the visually impaired would drastically improve if accessing the internet was easy and addressed their needs. This panel focuses on groundbreaking new technology that will allow the visually impaired to have full access to the web with voice browsers, speech interaction and desktop projection. There will be a demonstration of voice browsers in development and how they work. A discussion on the W3C initiative called the WAI (Web Accessibility Initiative) that is rolling out in full force with technology and information for designers to understand how to make their designs inclusive for the visually impaired at minimal effort. Do you long to let your inner badass out online, but are afraid of the consequences? Do you edit yourself, because you think you *have* to? Are you afraid of your commenters? Stop living in fear, and learn how to blog HARD at this panel discussion where we will cover all the ins and outs of online bad-assery. Believe it or not, you can be who you want to be, curse, share your real opinions, and lay it all out on the line on your site—-and people will still like you! (well, some of them, at least). Hear from some of the biggest badasses online about how they make it work on their own sites, and all the tips and tricks you’ll need to create your own bullet-proof badass persona. We all know how easy it is to doctor an image with Photoshop, but there's an even easier and low-tech way to alter an image's meaning: just change the caption. It turns out that pictures can say whatever we want them to say, provided we use the right words. In this session, we'll get the lowdown from a panel of bloggers and cartoonists who have elevated captioning to a brilliant, often hilarious art form. We'll learn why the old writing adage "Show don't tell" is useless, and how a picture might be worth a thousand words, but when it's paired with a caption that deepens, expands, or redefines its meaning, it can be worth a million. 3:30 PM - Employee Wellness: Farce or Untapped Potential? Wellness programs are popping up everywhere in Corporate America. To stem the ever-rising cost of health care, more and more companies are throwing points-based systems, incentives, and discounted weight, tobacco cessation, and fitness programs at their employees. Meanwhile, dubious employees aren’t snapping up these benefits. And employers are miffed. Should they be? Or is the problem housed in the current piecemeal approach to wellness? Explore and debate a more expansive approach to employee wellness, one where the workplace becomes a driver of health for the emotional, physical, and financial benefit of both the organization and the individual. The perfect way to wrap-up your SXSW experience: a lively and carefree conversation about how yoga can help you easily access your creativity and imagination at will. We all know this feeling of being under the gun with a deadline, needing to access our most creative ideas at a moment's notice. When we really need our creative muse to show up, she somehow has the uncanny ability to hide like a needle in a haystack and then show up at 3:00am as we bolt upright out of bed, making our way in the dark to scribble down the ideas she's handed to us. For too long we've accepted that's just the way creativity and imagination work - unpredictably. Yoga - physical postures, breathing techniques, and visualization - helps us tap into our imaginations at will and with ease, exactly when we need them. A regular yoga practice keeps our minds sharp, helps us make connections between seemingly disparate bits of information that may otherwise go unnoticed, and imagine solutions to complex challenges. It gives us a way forward. This session is helpful for everyone who needs to tap into their own creativity on a regular basis - from performers to programmers, in all mediums.